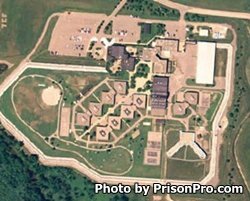 Thumb Correctional Facility is located in Lapeer Michigan. It is a level II facility with a capacity to house 1,216 juvenile and adult males. Four of the housing units at Thumb Correctional Facility are for level II adults, and two of the units are for level II juveniles. In addition to these units, a segregation unit is reserved for inmates who have become difficult to manage or have safety concerns. Three twelve foot razor wire fences, armed guard towers, an electronic perimeter detection system and armed perimeter patrol ensure no inmates escape the facility. Inmates are encouraged to take educational and vocational classes. While incarcerated offenders can receive substance abuse treatment, earn a GED and receive an adult basic education. Offenders can also participate in work programs within the prison including the laundry and food services.